Home By Heidi: FAVORITE Disney Tips! 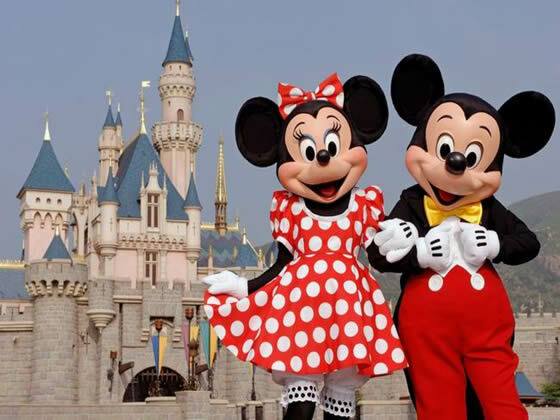 I have a blogging friend that is planning a surprise trip for her kiddos to Disneyland. I promised her I would write down a few of my FAVORITE tips. Well, a few tips ended up being a novel. Hehe. We used to make it an annual trip, but as the kids got older, it became more expensive so we don't go as often as we would like to. SNIFF!!! Here are just a few tips we believe make the experience all that more wonderful!!! STROLLER: For sure bring a stroller for the youngest ones in the group. I would suggest getting something like this kind of stroller because, with a NORMAL umbrella stroller, your poor back is shot by the end of the day and this one is GREAT for taller people and it also has a sun visor, cup holder and a basket underneath. It’s a MUST! It’s pretty easy to spend all your loot on food and drinks in the park. You can save a bunch of money if you go to a grocery store before entering the park. We always grab things like fruit snacks, granola bars, WATER, fruit drinks, travel-sized cheese and crackers, etc. If you do this, you’ll find you only have to eat 3 times a day and only buy the REALLY fun treats that are worth spending the extra cash :) Then you can save your money for REALLY good meals. And MAYBE even a character meal. Well worth the time to get them!!! And with the fast passes sometimes if the Disney worker are REALLY nice they will still let you use them even if your time has passed. If you choose to go to one, I would suggest going to Minnie’s Breakfast. We have been to several character meals, but I think this is the BEST for many reasons. First: it’s inside the park! Which makes it SUPER magical to be the first in the park when no one else is around. PLUS, on the VERY far left side of the main gates, you would have a PRIVATE entrance so you don’t have to fight the crowds. The others meals you can pick from are pretty far away at the Disneyland hotel. Second: If you do breakfast, it’s around $15 dollars cheaper. Plus if you go around 10:00 or 11:00 you could count it as breakfast and lunch and save some bucks! Third: You get to see the classic characters like Donald, Minnie, Mickey, Pooh etc..
Fourth: the food is AWESOME! I had a custom made omelet, YUM!! I’ve also heard Ariel’s grotto is awesome to meet the princesses, but the food is kind of gross?! The hotels inside the park are hundreds more per night. So that’s why we seem to always end up at the Fairfield Marriott across the street. It has a mini fridge, so we just have breakfast in the room. Fruit, yogurt, and cereal. It makes it easier to get ready in the morning and off to the park. Also Toon Town opens at 10:00 and it gets CRAZY, so I would go there around 9:45 and wait for the gates to open. Then you can get it DONE before it gets out of control! I would also pick a morning to go into California Adventure early. Especially with the NEW Cars Land open. The Aladdin show is REALLY cool. I like to go after being in the sun all day. It’s nice to sit awhile and feel some AC. Try and get on the main floor upper seating. WAY better view! You HAVE to see Crush! SUPER cute! That is located on Hollywood Blvd. is an AWESOME show if you’re front and center, but NOT worth it if you’re far away or behind people, ESPECIALLY for kids. You also have to wait an hour before the show starts. Ugh! I think the BEST place to watch the parade is right in front of the train station on main street. If you get there early enough you might even snag a bench! YAY!! Our favorite spots to eat is at the Cantina in Frontier Land. The TACO salad is HUGE and really yummy! The meals are big enough you can share and save money. Brett and I share a meal, but every couple is different when it comes to that. We also REALLY like the Pier in California Adventure. They have the BEST bread bowl soups and salads! My favorite is the oriental salad. They also offer a kids meal, which is called the “SUPER PACK” that has HEATHLY stuff in it for the kids. Another YUMMY place to eat is the restaurant by the Pooh Ride. I think it’s called grizzly something or hungry bear??? Anyway, they have really FUN burgers and sandwiches. They are different than the norm. A bit gourmet if you ask me. YUM! Another great place to eat is the French Quarters. They have a few different shops. I would look around there and see what floats your boat. Yummy Healthy food! If the kids want Pizza, the BEST place to go for that is by Space Mountain. They have HUGE pies for a decent price. We budgeted $300 for the week for food for our family. That included a every meal, character meal, snacks and a VERY pricey meal at the Blue Bayou for the adults! It was sooo expensive but the fish was to DIE for! If you don’t want to eat in the park, Down Town Disney has a few places like the Rain Forest Café and some pizza places. But they do close early so be sure you find out the times. Well there you go...hope this helps! we went to Ariel's Grotto 2 years ago-It was FAB! We had heard the same thing about the food but it was awesome (we went for dinner). We also went to Goofy's kitchen for breaky and it was great. We were staying at the DL hotel (we got an amazing cheap deal). The hotel itself was ok, and the close convenience was great, but unless you get a great deal, it's probably not worth it. I am heading out on the 15th back to DW (our 3rd time). LOVE it. There was a GREAT special for the Caribbean Beach Resort during June, so we took it. Usually, we stay at the value resorts. You don't spend much time in the room anyway. We are going for 8 days. So, we FedEx down snacks to bring into the parks. Granola bars, fruit cups, empty water bottles that we will fill there, etc. Yes, a stroller is a must. Even with my 5.5 yr old. I don't think his little legs and feet can do all that walking. Take advantage of the Magic hours. Our days are worked around the magic hours and fireworks. I don't know if DL has that, but DW does. I agree with hitting the fast most popular rides first. We are only doing one character meal. It is at the Grand Floridian across from Magic Kingdom. This one is Mary Popping, Alice and characters. When in Disney, the Polynesian offers a great sit down family style character breakfast. It is the only one that is not buffet style. Great for families with little kids. It will be a hot one, but will be worth it. I am glad you had a great time in Disney Land! I have never been to Disneyland and your post is indeed a big help for me in planning my first Disney trip. Thanks a lot!